It’s been my third day staring at this document, and after the third day it’s still empty. I was of zero motivation to begin with. It’s not that I feel lazy or uninterested in continuing my blog, it’s just that I can’t feel the passion in writing. I’m neither a writer nor a journalist. I’m just an ordinary people trying to express my thoughts that sometimes seem vague. I have hundreds or even thousands in my mind, but the problem is how to put all those things into writing. I have no area of expertise. I’m just a guy who tries to know all that I can, trying hard to be jack of all trades. But I’m no genius, and I know that. Everything I do is just mimicry of the things that have been done already. Good thing I have a good friend who is always there when you need him. Sometimes I feel like a burden than a friend to him as he still tirelessly helps edit my work. As I’ve said earlier I’m not a writer, all of my writing has gone a strict editing in his hands. Thanks to him that I have this space which I can call my own. He has tirelessly taught me the way of FTP, WordPress, and HTML, finding time between his job and teaching me online. And to him I dedicate this article. Router seems to be an integral part of a DSL Internet connection this day, and why not? Almost all Internet newbies know the benefit of having a router: having multiple DSL connection at a price of one, providing a built-in protection and firewall to your already protected computer, easy way of sharing your files, resources on a friend’s PC or any guest you have in your network. But all gadgets have limitations. A wired router can only reach a certain distance. ; while with a wireless router, every WAN has a cold spot where the signal is weak. This might be the case where having a router installed behind an existing router would be helpful. 1. 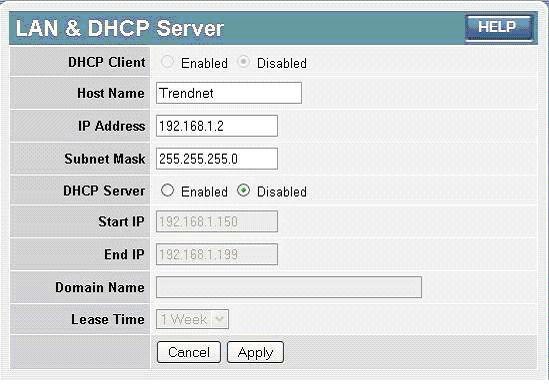 Configure ROUTER A to issue DHCP addresses in some range that does not include one IP address that we will use for ROUTER B. 3. Set the LAN (local area network) configuration for ROUTER B to STATIC with an IP address within the subnet range of ROUTER A but outside its DHCP range. We might set the LAN IP to 192.168.1.2 with a Subnet Mask of 255.255.255.0 and with DHCP Disabled. ROUTER A will serve as the DHCP server for anything connected to ROUTER B. 4. Make sure that nothing is plugged into ROUTER B’s WAN. Connect a LAN Ethernet port of ROUTER B to a LAN Ethernet port of ROUTER A to have them talking to each other, using the usual Ethernet cable that you would use to plug your computer into the router.